No cut ‘n’ paste content here: we’re Gloucestershire copywriters! I received an interesting email proposition from the USA recently. The sender was offering a service scanning and digitizing public domain books and files into MS Word format ‘that clients can use to create their own articles or ebooks’. What’s more, the service also offered to convert PDF files of public domain books, downloaded from Google, into editable documents. Okay so far, but what about the suggestion that followed, that I could get up to 40 articles (for online article submission sites such as EzineArticles.com from just one book – saving me ‘hours of time and money trying to write these articles yourself’. Apart from being a bit piqued that someone would think I couldn’t write my own content, what was more alarming was the implied suggestion that cutting and pasting other content (whether in the public domain or not) was good practice. Needless to say, I have ignored this approach. Just for the record, this is one of the copywriters in Gloucestershire who always delivers a unique piece of writing. Naturally, I use research sources ranging from hard copy documents to web content – but cut ‘n’ paste I DON’T do, unless it is a properly acknowledged quote being used under Fair Use. In any other case I will synthesise new and original content from researched material. 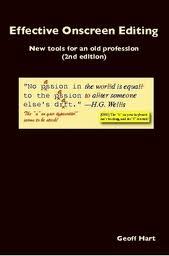 For this, I use the traditional research skills that many of today’s “cut ‘n’ paste generation” seem to be unaware of. On a recent project I bailed out a small business owner in the Midlands who had been horrifically ripped off by a so-called ‘professional freelance copywriter’ who delivered website copy that was cut and pasted in its entirety from other websites in the same industry sector. It may take a bit longer, but it is ethical and it gives better results. Creating unique copy also avoids any possibility of duplicate content penalisation by the search engines. So, whether I’m writing you a website or online SEO articles, I NEVER cut and paste content for my copywriting clients and that’s how it always will be. I’m an ethical Gloucestershire copywriter with the research and creative skills to generate great copy without having to line the pockets of the transatlantic book scanners in the process! This entry was posted in Uncategorized on February 28, 2011 by alwrites. I’m reading Geoff Hart’s great book Effective onscreen editing: New tools for an old profession (2nd edition) at the moment. As a busy Gloucestershire copywriter and copy-editor , it’s always useful to mine gems from one of the recognised masters of technical editing and tech writing. Even better, Geoff had kindly worked out an alternative that works a treat in Word 2003 (the bug was fixed from Word 2007 onwards). It’s a great macro, especially when assigned a keyboard shortcut. Start with your page of text, enshrouded in HTML tags, click your shortcut and watch the ‘meaty text’ jump out of the page as the HTML is knocked back into understated grey. Once your editing is finished, simply convert everything back to black and you’re good to go. Simples! (as that meerkat says on TV). For more of the same and 735 information-packed pages on every possible aspect of on-screen editing, I can’t recommend Geoff’s book highly enough (it’s also recommended by the UK Society for freelance editors and proofreaders). You can find more details and information on how to buy a copy on his editing, writing and translation website. It’s a great read, packed with useful information and insights, written by a really decent guy. This entry was posted in Uncategorized and tagged copyediting, copywriter, editing, effective onscreen editing, geoff hart, gloucestershire copywriters, macros, problem with Find & Replace, recording macros, word 2003 on February 22, 2011 by alwrites. A recent conversation with the owner of a Cotswold helicopter business provided a great opportunity to reminisce about the time this Gloucestershire copywriter ended up flitting around the Swiss Alps with a heli-logging crew. And how I ended up in a Bell 212 that got picked up by an AWACS in the days after 9/11. And then there was the generous support that I got from local helicopter businesses such as Polo Aviation and Heliflight for my City & Guilds Technical Communication project and my (as-yet unpublished) novel. One of the highlights of my freelance copywriting career to-date was the SEO copywriting I did (through two of my clients) for Staverton-based Rise Helicopters. Add all these ‘helo experiences’ up and it makes a handy ‘helicopter CV’ as background to more work for the industry. Being interested in a subject is a great starting point for writing enthusiastically about it. Having this knowledge and experience, yet being able to stand back from the day-to-day intensity of a helicopter-related business, puts one on a great position to offer fresh perspectives. One of my objectives for 2011 is to do some more helicopter writing. I’m getting itchy keyboard fingers and the challenge of helping another helicopter firm get their bizcomms out of a low hover and transitioning into a steep climb is an exciting one. Gotta helicopter business that could use some creative copywriting? Or maybe your agency or web company has a helicopter-business client? If so, please visit my helicopter copywriters website page for more info. This entry was posted in Uncategorized and tagged 212, bell, copywriter, copywriters, copywriters gloucestershire, helicopter, helicopter aviation, helicopter business, helicopter company, helicopters, marketing, PR, rotary wing on February 19, 2011 by alwrites. This Gloucestershire copywriter has been at sea for the last 24 hours – and I didn’t leave my desk. No, my maritime indulgence consisted of another job for the Super Yachts Directory. Over the last couple of years I’ve done a variety of copywriting for this leading Super and luxury yacht directory: online articles; website content; banner ads; directory profiles and more. 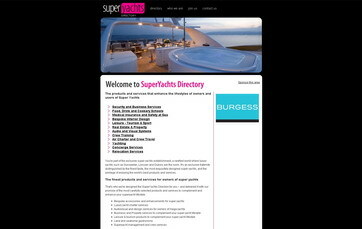 My latest project involved a suite of new text blocks for a load of the Super Yacht Directory’s category pages. Writing for the Super Yacht Directory is always a great opportunity to work some exotic locations and products into engaging category page copy. It goies with the territory, when you are writing for one of the leading directories (maybe the leader?) for the superyacht world, it’s a world a million miles away from Sharpness or Gloucester docks. This time I even managed a reference to the Suvretta-Hang above St Moritz, in my beloved Switzerland. They are such a lovely team at the Super Yachts Directory and it’s always a pleasure. Although it helps if you have Lürrsen, it’s not a prerequisite as many of the directory’s services are equally suitable for yachties of more modest means. Into yachts? Need yachting services? Check out the Super Yachts Directory. This entry was posted in Uncategorized on February 17, 2011 by alwrites. But what Technical Editing lacks in currency, it makes up for in timeless wisdom and great advice gained in the trenches of editing in the computer software world. The author was a technical editor at Hewlett Packard and her experience as a copy-editor comes through on every page. I couldn’t put this book down, learned lots that will be useful in my work, and loved her engaging, and very human, writing style. If you’re like me, you’ll even enjoy an occasional chuckle too. This entry was posted in Uncategorized and tagged copy-editors, copyeditors, copywriter, Gloucestershire, tecvhnical editing on February 9, 2011 by alwrites. I’ve just got back from my annual off-site business review and strategy meeting. Last year we went to Dartmoor. This year, to an amazing B&B near Ludlow. I first discovered the benefits of off-site meetings back in corporate life. Now I am enjoying the benefits as a busy Gloucestershire copywriter. Until you’ve tried an off-site meeting, it’s hard to appreciate the benefits for clear, undistracted thinking and creativity. The power of the wind in the trees, a few clucking hens and a houseful of cats is truly awesome. So where is this wonderful oasis of peace, calm and delicious food? Brook Farm (01584 819868) is at Berrington, close to the point where Worcestershire, Herefordshire and Shropshire meet. Whether yours is a copywriting business or you’re in a completely different field, you can read more about the benefits of getting off site on my website. Need a clear perspective and great new ideas? My message is an unequivocal ‘get off site now!’ Try it sometime and experience the difference it makes. This entry was posted in Uncategorized and tagged gloucestershire copywriter, ludlow b&B, meeting, off site on February 7, 2011 by alwrites.